"Colour Rhapsody" is a book about the origin of hearing and the impact of music on our brains. Optical and acoustic experiments make it possible to »see« music in a different way. They create a colourful symphony with compositions for inspiration and information. Final project (Bachelor of Arts) of Irene Themann. 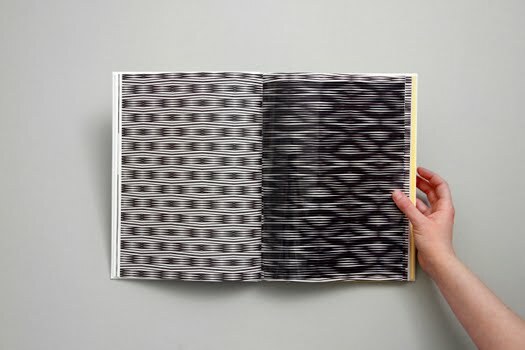 The work contains an interact ively useable book and an extra booklet, named AsciiSolo, where a soundfile is saved on paper using Ascii Code. With an additional tool you can transform the soundtext back into an audio file. Aslipcase with screenpr inted black lines keeps the single components together. 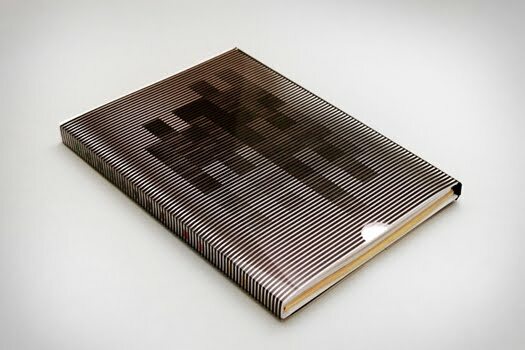 If you move the slipcase, it creates an optical illusion and the graphics seem to be animated. 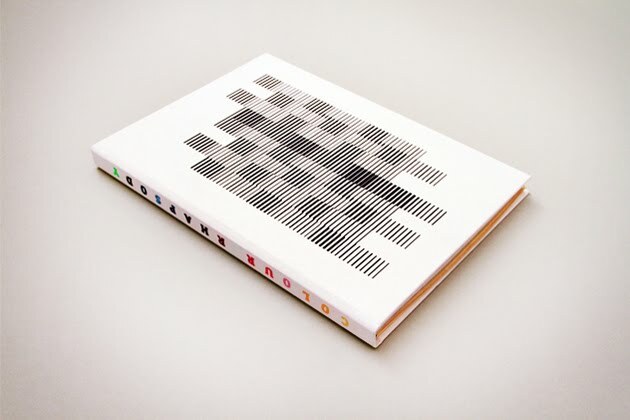 Like over tures in classic music, the slipcase introduces the theme of this work before the first page is shown. This technique provides the opportunit y to describe and visualize musical forms and movements. The graphics themselves become an optical instrument that wants to be played.